t and have an idea that could change the world? 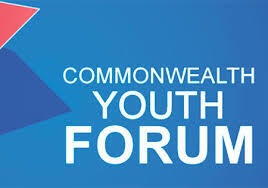 Enter for the Bright Ideas talk, and you might be selected to attend the Commonwealth Youth Forum (CYF) in Malta. The commonwealth Youth Programme would like hear young people’s innovative ideas which are driving positive change in their community, country or region through their pioneering solutions to challenges large and small. 1. Submit your Bright Ideas talk in video or audio format to youth@commonwealth.int by 30 September 2015, 5pm London time (GMT+1).